(Newser) – A Hawaii man has been ordered not to drink his favorite soft drink during four years of probation on a car theft conviction, the AP reports. Judge Rhonda Loo imposed the restriction last week while sentencing 21-year-old Christopher Montilliano Jr., the Maui News reported Saturday. Montilliano lied to police when he was arrested with the car in Maui last June, Loo said in court. Montilliano told officers that his cousin had allowed him to drive the car and that he was on his way to buy soft drinks. 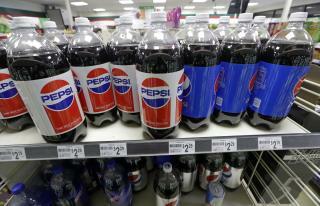 The judge issued the order for him to not drink Pepsi for four years after he told her it was his favorite soft drink. "It's the Pepsi deprivation syndrome," she said. The Judge is a twit. Dang! I've been serving a No-Pepsi sentence for decades and didn't even know it. Can I use that for credit when if I get arrested?